Born: Roderick Andrew McDowall in London, England, 17 September 1928. Education: Attended St. Joseph's School, London; 20th Century-Fox school for child actors. Career: 1938—film debut as child actor in Murder in the Family ; 1941—U.S. film debut in Man Hunt ; 1946—stage debut in Young Woodley in Westport, Connecticut; 1955—in Julius Caesar and The Tempest at Stratford, Connecticut, Shakespeare Festival; other stage work in roles in No Time for Sergeants , 1952, Compulsion , 1957, Look After Lulu , 1959, and Camelot , 1960; 1970s—in several TV mini-series, and the series The Planet of the Apes , 1974, and Fantastic Journey , 1977; 1971—directed the film Tam Lin ; 1980s and 1990s—in TV mini-series Around the World in 80 Days , 1989, An Inconvenient Woman , 1991, The Sands of Time , 1992. Died: of cancer on 3 October 1998 in Studio City, California. Double Exposure (photographs), New York, 1966. Double Exposure Take Two (photographs), New York, 1989. Double Exposure, Take Three (photographs), New York, 1993. Double Exposure, Take Four (photographs), New York, 1993. "A Life in Pictures," interview with Gavin Lambert, in Interview (New York), September 1989. "Dark Star," interview of Louise Brooks by Roddy McDowall, in Interview (New York), October 1989. "Tim Burton and Vincent Price," interview by Graham Fuller and Roddy McDowall, in Interview (New York), December 1990. "The Redgrave Sisters," interview by Roddy McDowall, in Interview (New York), February 1991. "Sitting Pretty: After a Twenty-Year Absence, Actress Maureen O'Hara Returns to the Silver Screen," interview by Roddy McDowall, in Premiere (New York), July 1991. Buckley, Michael, "Roddy McDowall," in Films in Review (New York), August/September and October 1988. Contemporary Theatre, Film & Television Volume 16 , Ed. By Kath-leen J. Edgar & Lynn M. Spampinato, Gale Research, Detroit, 1997. 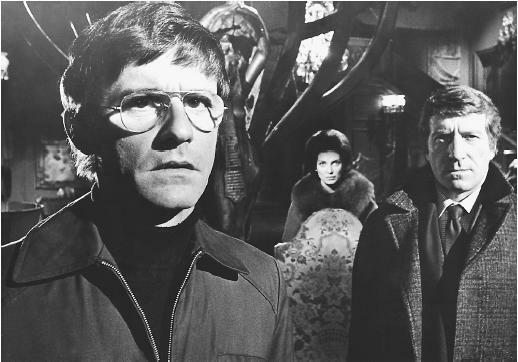 Although Roddy McDowall has appeared in more than 100 motion pictures playing a variety of roles and characters (and has an equal number of television credits) he seems to have been plagued by typecasting during much of his career. He began acting in films at the age of nine in Great Britain. His family emigrated to America in 1940 when he was signed to a movie contract by Darryl F. Zanuck at Twentieth Century-Fox. His first major role in an American film was in John Ford's How Green Was My Valley . Soon afterwards followed My Friend Flicka and Lassie Come Home . These films helped to establish McDowall as a major child star, generally playing the role of sensitive, winsome youngsters. He kept extremely busy making two or three films each year throughout the 1940s. Although McDowall was growing into an adult during this period, producers and audiences continued to think of him as a "child" star. His youthful appearance allowed him to play characters much younger than his actual years (the most outlandish situation coming in 1965 with Lord Love a Duck in which the 35-year-old McDowall played a high school teenager), but it limited the kinds of film roles he was being offered. His initial stardom in America had typecast him into one specific kind of role that he had now outgrown. Many child stars fade away after this period in their careers, but McDowall was able to continue with his acting by moving to the New York stage. Live television was another medium that enabled McDowall to expand his acting talents with a variety of roles. While he has not been honored by the Academy of Motion Picture Arts and Sciences, McDowall has won both Emmy and Tony awards for his work in these other mediums. In the early 1960s he cautiously ventured back into motion pictures as an "adult" actor, taking mainly character roles. In 1967 his career took a different turn with Planet of the Apes . McDowall, in Oscar-winning ape makeup, played Cornelius, a chimpanzee scientist sympathetic to human time traveler Charlton Heston in a future world where humans are subservient to apes. The film was extremely popular at the box office, and there were four sequels, plus a short-lived television series. Although he continued to take other film roles during this period, McDowall's name became synonymous with the ape series. And while it is true that McDowall has appeared in several science-fiction films (such as The Legend of Hell House , Arnold , Embryo , Laserblast , and The Martian Chronicles ), he also continued to play many varying roles in other films. A quick glance at his screen credits shows an amazing diversity of films, and McDowall should perhaps be considered more of a character actor than one who has been typecast in any one specific role.